Discussion in 'Transportation' started by Morrow7x, Feb 26, 2019. Thinking about adding a KLR250 to the collection. That is a cool little bike and 6 gears to go along with it, as well as a kick start for backup. Oni, Pastor Chris, Morrow7x and 3 others like this. Pretty sure the Super Sherpa is what you are looking for, elect start and 6 speed, fun bike to play with in the woods. A few years back I found one in need of a pile of work for cheap $ after fixing and riding it I sold it. Kinda wished I'd kept it for a camp bike. CampCowan, americanstrat98, Oni and 3 others like this. The little Kawis are good, reliable bikes. Lots of fun. central joe, americanstrat98 and GeoKrpan like this. I feel the biggest difference between the various 250s is the decision to go with carb or fuel injection. I bought honda to go with injection. Also 6 speeds. central joe, Oni, GeoKrpan and 1 other person like this. The KLX 250 is now fuel injected, if you're talking about a comparison with the CRF250L. The carbed ones were insanely cold-blooded. I have a short commute and it just wasn't worth the trouble! central joe, americanstrat98, Oni and 2 others like this. ya, I know the feeling of buying in, and then the next season offerings are announced which include everything you wanted last year. central joe, Oni, GeoKrpan and 2 others like this. I had a 2009 KLX250 w/ the Bill Blue 351 kit. I should have kept it, but wanted something newer. I should have kept what was paid for. central joe, CampCowan, americanstrat98 and 4 others like this. Gonna check this out tomorrow.... Since I haven't finished my goldwing rat bike thing I may buy one. central joe, Guy, americanstrat98 and 3 others like this. If you want something a little less flamboyant there's the Svartpilen 401. Tubeless wire wheels! central joe, Guy and alukban like this. central joe, CampCowan, Guy and 3 others like this. central joe and GeoKrpan like this. central joe, Guy, americanstrat98 and 2 others like this. While I was out riding my bicycle this morning, I saw a guy standing next to his Duke 390. I went over to talk to him. He told me he bought at the Black Friday sale of the local dealer, for $2999!!! Dang! I'm looking at $3999. Before all the stuff....I got bumped....going Tuesday now. Been having fun looking at new gear too! $3999 is still a good price, the list price is $5499. I paid $4873 including destination for my 2019 Honda CB300R ABS, list price $4949 plus $380 destination. I'd have gotten a Duke 390 if I knew they were $2999. Funny thing, the Duke 390 makes 45 hp, the CB300R makes 31 hp. Yet, the top speed is similar. Some have gotten the CB to over 100 mph. I guess they're just numbers. I read that the torque and power curves are more important than max power. When I looked up the price of the Duke 390 on Cycle Trader, I saw a Duke 690 for $7999. The Husqvarna Svartpilen 701, essentially a Duke 690, KTM owns Husqvarna, same motor and chassis, lists for $12,999, $5000 more! I know that the Svartpilen 701 is smokin' fast and weighs 350 lbs, only 30 lbs more than the CB300R. If the Duke 690 is similarly light, it is a smokin' deal. central joe, americanstrat98 and alukban like this. 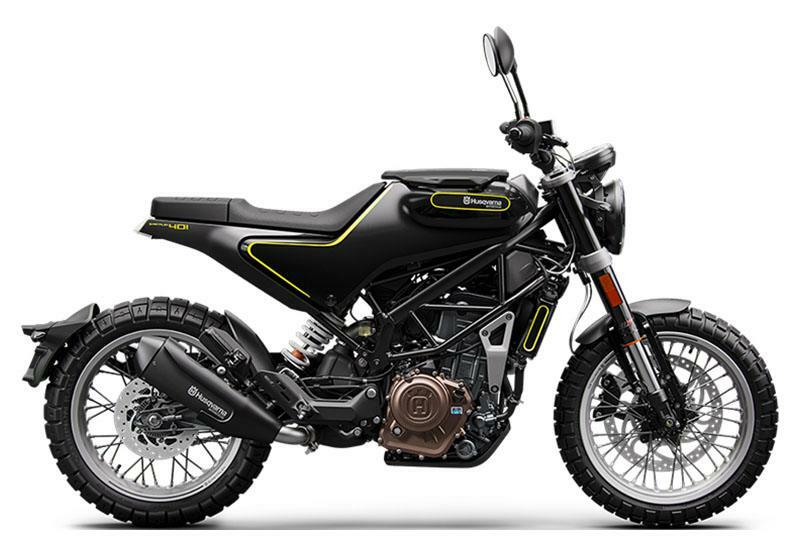 I like the look of the husqvarna better, but my localish shop is high priced. different closer shop has the ktm....wonder if they can ship in one since they are sister companys?? All the videos I watched everyone loved how peppy they are, liked it over the cbr300, bmw310r....not by much though lol. I think it I'll make a nice little adventure type bike. According to the KTM site, the Duke 690 the dry weight of the Duke 690 is 326.7 lbs, only slightly more than the dry weight of the CB300R. According to Wikipedia the dry weight of the Duke 390 is 306 lbs. A Yamaha MT07, parallel twin, a direct competitor to the Duke 690, weighs 395-399 lbs wet, according to Wikipedia. I have to say it, the Duke 390 has some issues, runs hot, fan runs a lot and is loud, and is more maintenance intensive than the Honda. Also interesting is that the CB300R is sold out in India for two months. It is much more expensive in India than the Duke 390 which is made there, where buyers are much more cash strapped. Definitely, the Husqvarnas look amazing, looks matter! I saw the 401s and 701s side by side. The fit and finish of the 701s were a lot better but they're $6700 more. The fit and finish of the CB300R is impeccable, every bit as good as the 701s. The Svartpilen 701 is my favorite bike. Maybe next time. 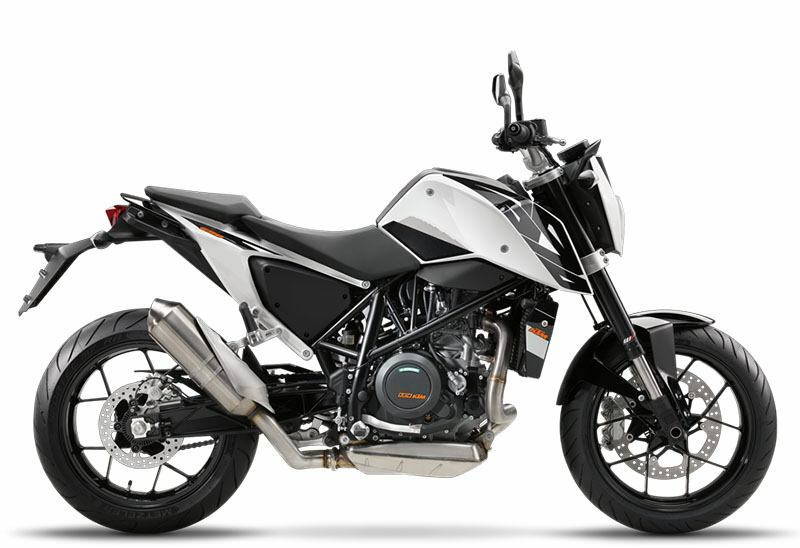 PS The Duke 690 comes in a more subdued black and white color scheme as well as the orange. central joe, Guy, americanstrat98 and 1 other person like this. "I have to say it, the Duke 390 has some issues, runs hot, fan runs a lot and is loud, and is more maintenance intensive than the honda." tried to post a link... didn't look right. bobber pros "let it ride"
also got a unique lil prewar right hand jockey if anyone's interested... I'd rather burn out than rust, but it seems a shame to let her sit and gather dust. I’m currently riding a 2003 XR650R (just addd a cush hub set of wheel and transformed the bike into a smooth light adventure bike). Also ride a Honda Africa Twin DCT. central joe, ugar-6, CampCowan and 5 others like this. Someone told me they run hot because they run too lean. That can be fixed, I think. How do you like the DCT? I think I'd love it. Mmmm that XR650R sure would look good racing across Baja.... Sweet machine! central joe, Oni and GeoKrpan like this. I pick it up Saturday Woo Hoo!! central joe, Guy, twisted2 and 3 others like this. Woo Hoo, congratulations, many happy, safe miles! I hope so! Lol! But now I'm thinking of a comm. I'd help with advice on a comm but I don't know what a comm is. Pics of the new bike ASAP please. Sorry....communications,... earpiece, voice activated calling, etc. Pick it up tomorrow so pics soon! I was also confused by that, then again, I ain't into that- newfangled slang talk. Good luck with the new bike . And a pic...maintenance due on the ST.
central joe, Guy, Oni and 3 others like this. Nice bike! I had to Google it lol. 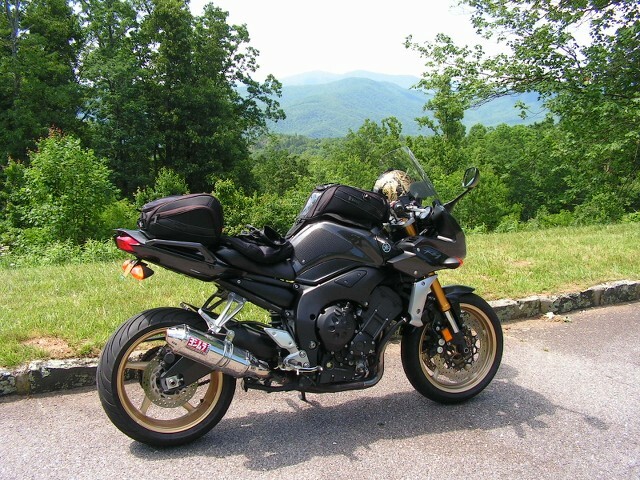 My '08 Yamaha FZ1 .... she's lonely and in need of a new home, BTW. central joe, ugar-6, Guy and 2 others like this. Are you getting a new bike or are you quitting riding? central joe, Guy, GeoKrpan and 1 other person like this. Great thread. Especially seeing the Mucho Guzzis. No pics but rode Harleys for years and then Guzzi and BMW. The Harleys were a lot of fun, the Guzzis absolutely bullet proof and the last RT had insane weather protection. Hit every state, Canada and Mexico over the years and rode most every day until a tourist ran a stop sign a few years ago. Working on a 75 R90 airhead now. There are a lot of good things in life but few rival having your knees in the breeze. Thanks for the many posts. central joe, Oni, Guy and 5 others like this. I am sitting here thinking it is about time to go to the barn and get the Harley's ready. 1997 Sportster 1200 Custom and a 2005 Road King Custom. Going to have to go to the dealer the Sporty needs a battery. See you in the wind. central joe, Guy, reppans and 3 others like this. Most of my riding partners have wandered away from riding altogether and I myself have mellowed a bit with regards to "spirited" riding - which is what this bike does best. I'm looking at returning to my roots; dual sports. central joe, CampCowan, Oni and 5 others like this. I had a fake guzzi lol....cx500...it was fun. central joe, GeoKrpan and Oni like this. The older I get the less people I have to ride with so I just go get breakfast or coffee on Saturday. I can't ride to work I have to carry to much stuff. This old xt and I had a lot of fun together. I loved the gold anodized wheels on it and the super trapp exhaust. Bike had some character. central joe, GeoKrpan, Guy and 1 other person like this. Big screen, bluetooth to phone connection, set shifting points and stuff...gotta read alot on that....new helmet coming so no long rides. central joe, ugar-6, twisted2 and 4 others like this. central joe, GeoKrpan and CampCowan like this. View attachment 712627 Uhaul was awesome! View attachment 712639 Big screen, bluetooth to phone connection, set shifting points and stuff...gotta read alot on that....new helmet coming so no long rides. Looks great. How tall are you and how well do you fit on it? How far did you tow it? Did you get a modular helmet? The Honda CB300R doesn't have a pretty TFT display like the Duke but at least it's white on black. CB300R has no gear position indicator, WTF, but an add on only costs $45 and it's easy to install. CB300R also has the adjustable shift light. Im5'9", cant quite flat foot it. I'm about 1.5 hours from dealer....70 miles roughly. central joe, Guy and GeoKrpan like this. Its funny, the older I get the less I want to ride with other people, don't get me wrong, there are certain people that have my style of riding and anytime they want to get out to spin the bearings, I'm in. Most of the time when not on tour I'll get up real early and burn through a tank or 2 and head home, earlier the better. central joe and CampCowan like this. Did you put the kick stand on the right side? central joe, CampCowan and GeoKrpan like this.